Zainab Fasiki is an independent artist, mechanic engineer, and activist for women’s rights and individual freedom. 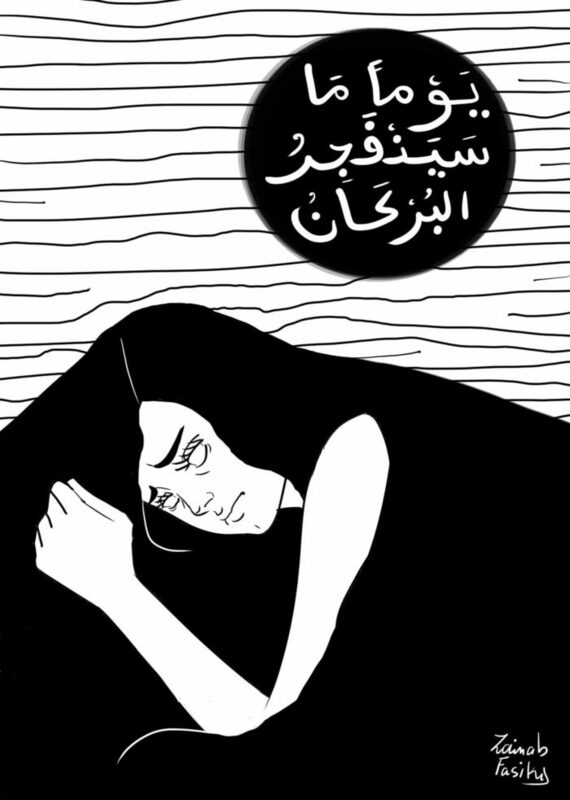 She produces comic books through which she analyses problematics related to women’s freedom in Middle East and North Africa region (MENA). In fact, obliged as she is, to confront patriarchal societies, Zainab Fasiki uses her drawings to denounce taboos related to the ‘female-world’. She decries the profound inequalities that characterize the relation between men and women, as well as the culture of harassment that is typical of several societies. The women drawn by Zainab Fasiki can seem provocative and fatal, even narcistic sometimes. Naked, in underwear, or wearing a veil, in the city or the Hammam, they mock a hypocritical masculinism “scared” of female bodies. Often, the women that the artist depicts have their own physical “flaws” and wear the costume of superheroines. She does not take into account the beauty standards imposed by others. These drawings are also a tool to celebrate bodies and their beauty, and thus, challenge one of patriarchal societies’ major pillars, present in Morocco like in Europe. 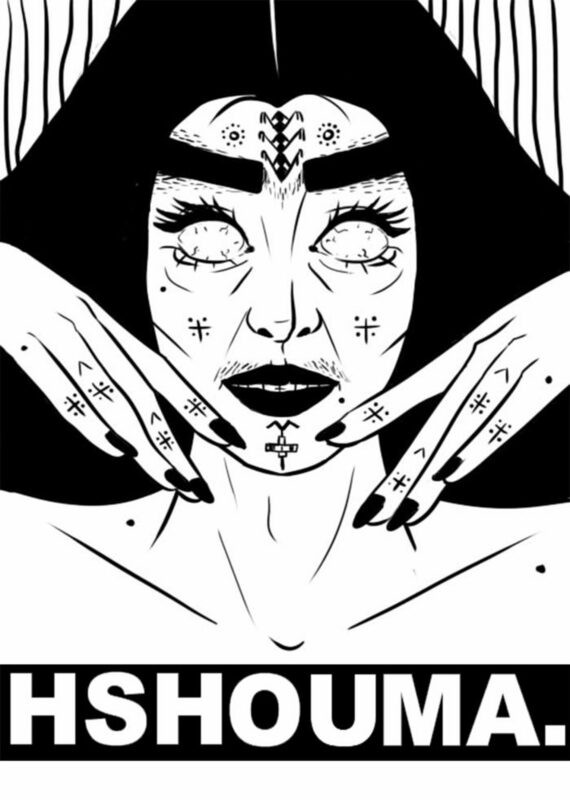 Zainab Fasiki is the author of the project Hshouma, a website and a comic book which aims at breaking some of the taboos in Morocco. It is presented at Le Cube – independent art room. Moreover, she participates and directs workshops of comic books and activism within universities and associations in Morocco and abroad. Zainab Fasiki is also founder of the collective /WOMEN POWER/ that invites every month twenty young women to take part in workshops. The aim is to encourage young artists and boost their artistic career.